Contractor – choose to work with a contractor who is knowledgeable when it comes to high-efficiency furnaces. Hire one who is licensed, certified, reliable, and has an office or shop nearby for easy access. Efficiency – you can determine if it is a high-efficiency furnace by checking its Annual Fuel Utilization Efficiency (AFUE) rating. It measures how much energy a furnace consumes in heating your home in percentage form. The higher this rating is, the more highly efficient your furnace is, and the more heat is distributed in your home. When buying a high-efficiency furnace, buy one with a 90 or higher AFUE rating. ENERGY STAR – having the ENERGY STAR logo means your furnace meets the stringent energy efficiency guidelines implemented by the United States Environmental Protection Agency. There are different requirements for gas efficiency depending on what you state you live in. If you live in the south, high-efficiency furnaces bear the “U.S. South” ENERGY STAR label and enjoy up to 12% energy efficiency than regular models. If you live in the north, high-efficiency furnaces have the usual ENERGY STAR label but are up to 16% energy efficient than other models. Modulating Furnaces – they respond to the weather outside in keeping your home warm, quiet and comfortable. You can achieve this when you modulate the gas valve (like when you turn up a gas stove’s burner) and change the indoor fan’s speed. Thus, these furnaces end up using less energy if the demand for heat is also low. Sizing – before purchasing a furnace, call a heating contractor first to perform a load calculation and determine the correct furnace capacity your home needs. A furnace that is way bigger than what you need will turn on and off frequently using too much fuel in the process. Meanwhile, a furnace that is too small won’t be able to generate sufficient heat. Thermostat – once you make up your mind to use a high-efficiency furnace at home, it is only sensible to use a programmable thermostat as well. It will let you monitor and make adjustments to the settings depending on your heating requirements. Explore your options first before deciding on something. Installing a high-efficiency furnace at home provides state-of-the-art solutions to energy use reduction and the provision of better home comfort. By becoming familiar with your alternatives, you’ll be able to choose the ideal high efficiency furnace you can afford and will provide the heating that you need. Do your research and don’t just listen to what other people say. Most of all, don’t forget to have a load calculation beforehand. 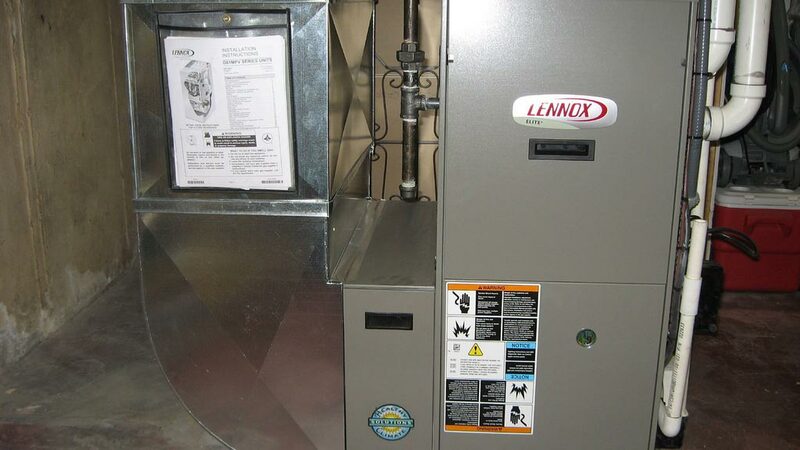 It does not follow that you have to buy a furnace that is the same size as your old one because there may be structural changes in your home that you need to consider when choosing the right furnace perfect for your home. This entry was tagged energy star, high efficiency furnace, high-efficiency heating system, home furnace, mississauga, ontario. ← Taking on Plumbing Tasks: When Is It Best to Call a Plumber?